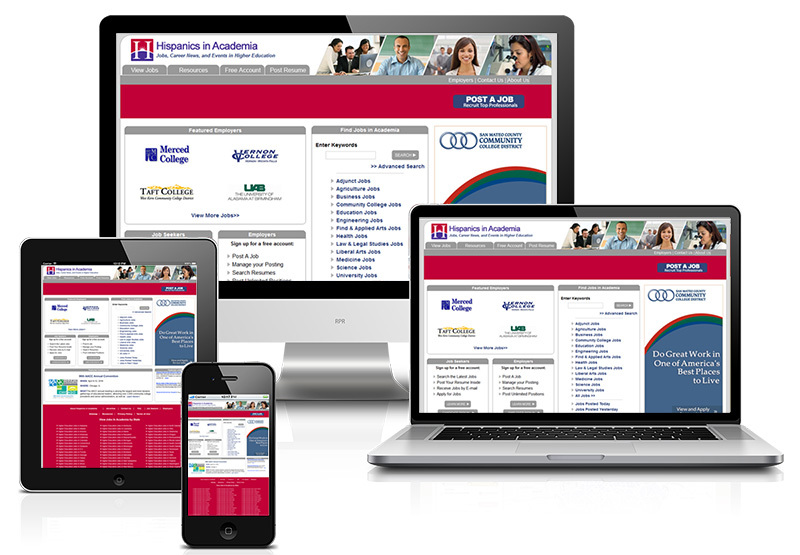 HispanicsInAcademia.com is committed to helping Hispanic faculty, staff, administrators, and high-level executives succeed in higher education. Our site is where college and university recruiters visit first when recruiting talented Hispanic professionals to work on their campuses. Accessed every month by thousands of higher education professionals in the U.S., Puerto Rico and internationally, HispanicsInAcademia.com is where the hiring Hispanics In Academia begins.